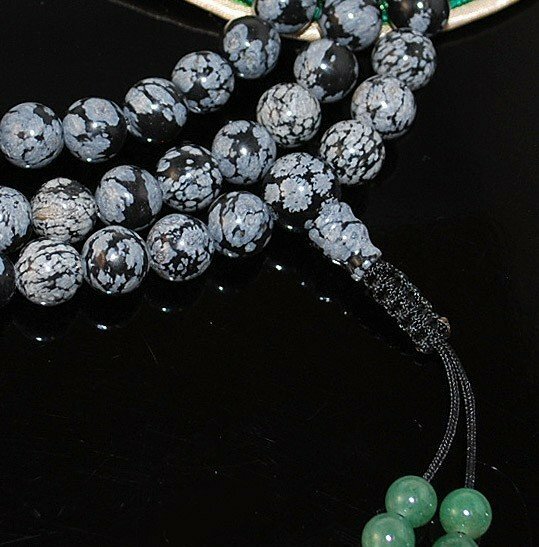 Snowflake Obsidian Mala, made of 8mm snowflake obsidian beads, with jade and silver markers, a snowflake obsidian guru bead, finished with a black adjustable knot and jade adornments. 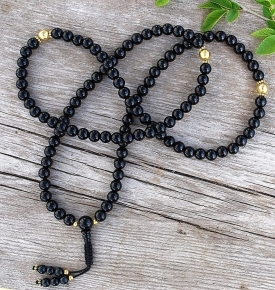 Obsidian is a naturally occurring volcanic glass. Obsidian has been known since prehistoric times. Pure Obsidian is usually dark in color, though the color varies depending on the presence of impurities. In some stones, the inclusion of small, white, radially clustered crystals of cristobalite in the black glass produce a snowflake pattern, and this is known in the gem trade as Snowflake Obsidian. 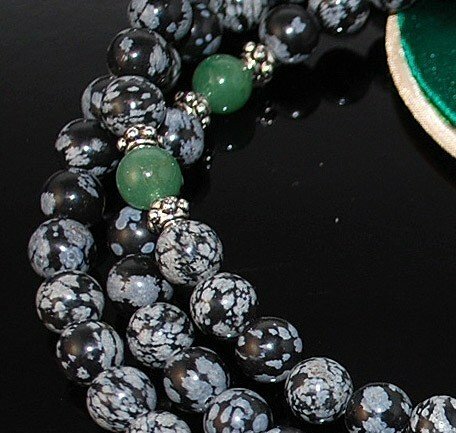 Jade: Considered the most precious of all stones in ancient Egypt and even now in Japan and the Orient. It is credited with five qualities: clarity, courage, justice, wisdom, and modesty. 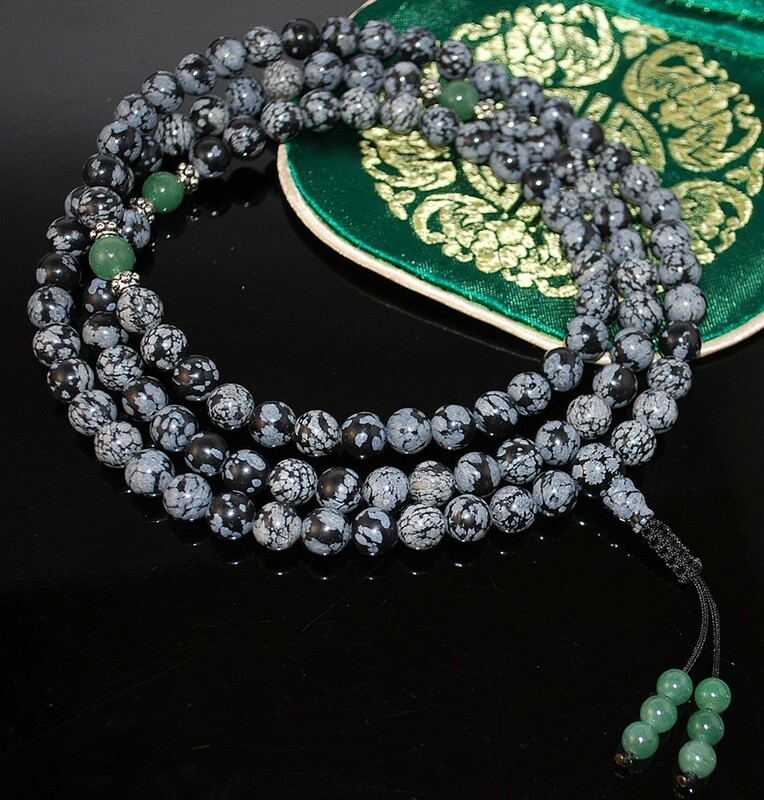 It is folklored to evoke tranquility, so much so that even holding Jade in your hand may cause a feeling of serenity or wisdom. 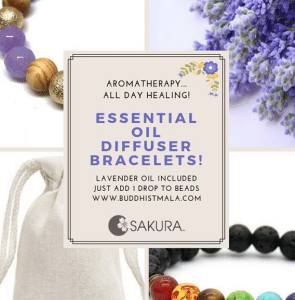 Consequently, it also said to help to the smooth transition to the next world and aids in peaceful death and dream yoga. 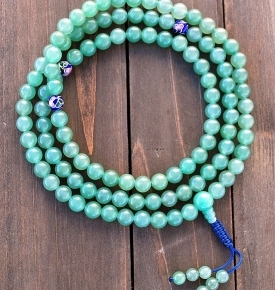 Jade provides protection from from enemies and during long journeys. Provides me with so much comfort when I’m stressed. Hope to give others as gifts. 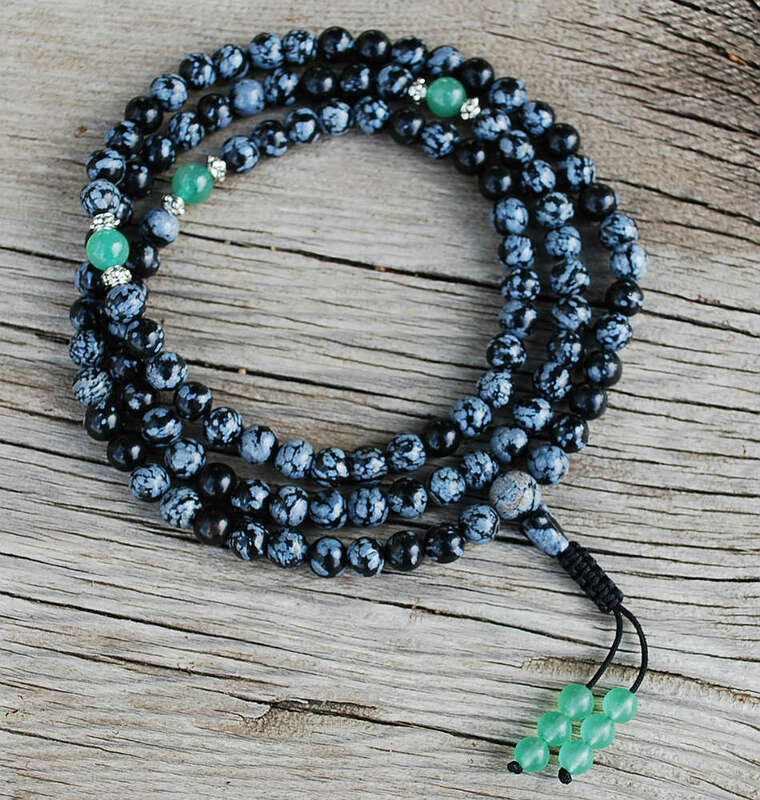 Quick shipping very pleased with the mala. 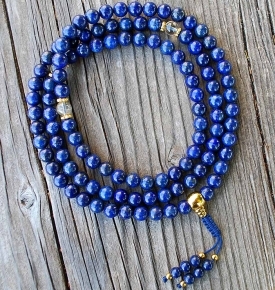 Quick shipping and the wife is very please with the Malaysian necklace I am truly pleased…. Fast delivery, great quality and good vibs. 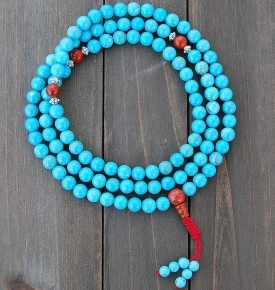 Love this mala. 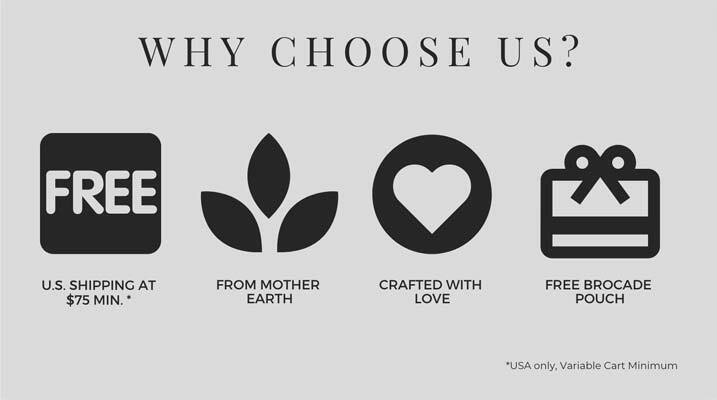 Great quality, shipped and delivered quickly, exactly as described and shown.